Interested in joining a Kubb League and live in the Southeastern Wisconsin area? The Kubb Life community hosts league play once a week in both the Fall and Spring seasons. League is open to all skill levels ranging from beginner to competitive. Never played before? No problem! We will teach you how! We are currently accepting League Registration! We will contact you once we've confirmed your reservation. See you on the pitch! We now offer both PayPal and Venmo payment options for league registration! Use the "Kubblife" tag for direct payments. We are fortunate enough to have such a great facility to use for our weekly Kubb League! 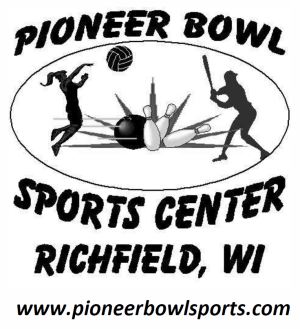 Located in Richfield, WI - Pioneer Bowl is equipped with several softball diamonds and plenty of room. We put our pitches out in the outfield and are able to utilize the lighting for some night time Kubb! We even have a waitstaff that will come out and take your drink order! Need directions? See the map below or visit Pioneer Bowl Sport Center's website for more information.